Our Kiosk booth features fully automated, touch screen user operation. 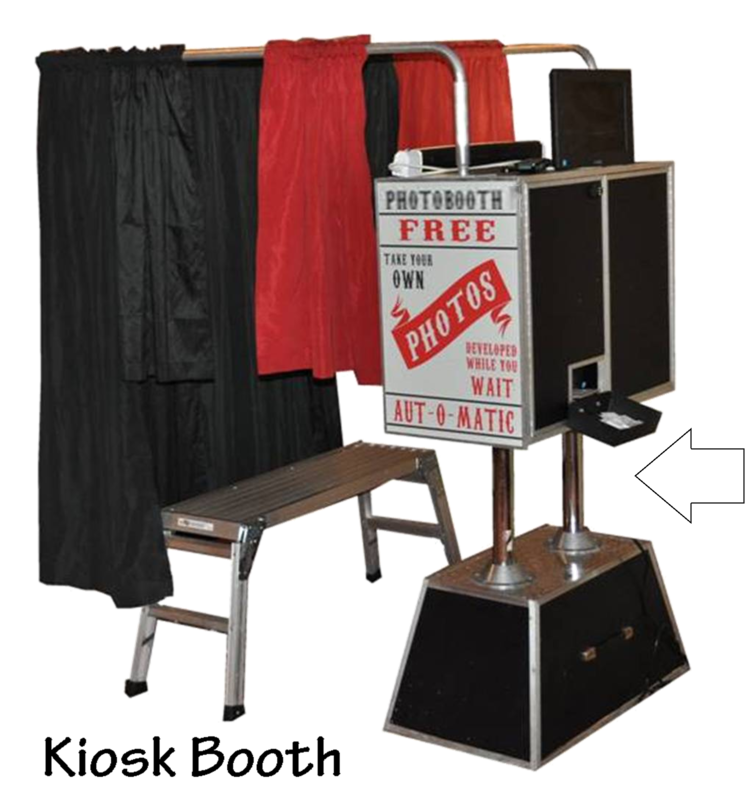 The suspended curtain system accommodates large group sittings, yet still offers the fully enclosed photo booth experience. The curtain system can also be completely removed for an open-air photo booth setting or single shot souvenir photos. 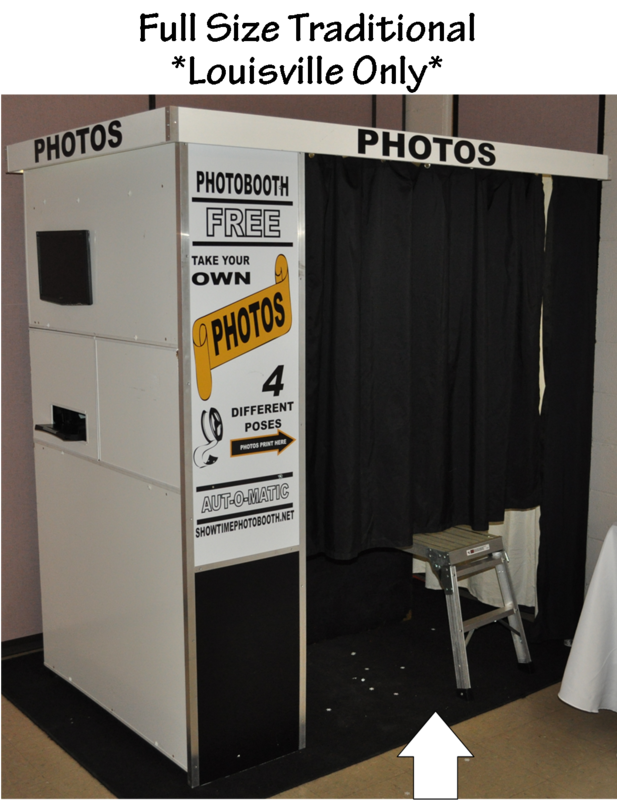 Our Touch Screen Traditional booth offers the look of a classic photo booth while offering the modern feel of touch screen user operation. This allows for guests to choose between color, b&w, or sepia photos and multiple prints. The patented slit curtain system in the rear of the booth allows for larger group photos. 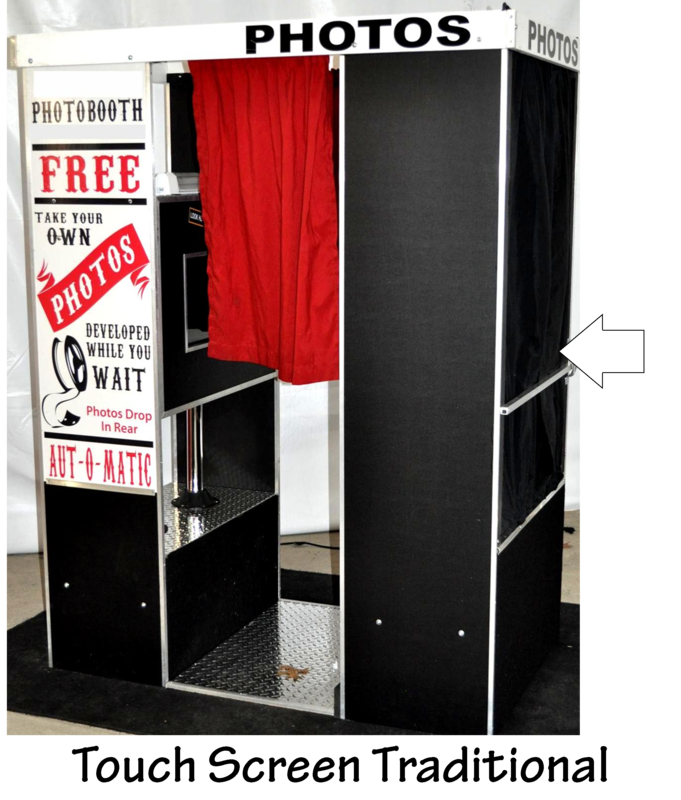 Our Full Size Traditional booth is styled as a replica of an old type photo booth. It is fully automated and includes a spacious seating area, large interior and exterior video monitor, and easy to use one touch start button. Showtime Photo booth has Louisville kentuckiana’s most exciting selection of affordable photo booths for party rentals. All of our photo booths have unique and exciting features that make them fun and easy to use and operate. Our photo booths are fully automatic. Each Photo booth is intended to create lasting memories with instant photos and cheap pricing for weddings, sweet 16, birthday parties, backyard carnivals, derby parties, school events, school carnivals, school festivals, after prom, project grad, grad parties, graduation parties, church events, church picnics, church festivals, church carnivals, church homecoming, class reunions, family reunions, corporate events, and corporate picnics. We deliver, setup, and pick up in Jefferson County, Bullitt County, Oldham County, Shelby County, Spencer County, Floyd County, and Clark County. Other places of delivery are Louisville KY, Brooks KY, Glenview KY, Prospect KY, Shepherdsville KY, Shelbyville KY, Middletown KY, Jeffersontown KY, Crestwood KY, La Grange KY, Mt. Washington KY, Shively KY, New Albany IN, Clarksville IN, Scottsburg IN, Corydon IN, and many other areas in Greater Louisville, Kentuckiana, and surrounding counties.